As those of you who follow me on Twitter or are a friend on Facebook know, my sweet cat Riley died at the end of last month. He was such a sweet boy, patient with the kids, soft as a kitten, and well-behaved around yarn. Every night after the children went to bed, he'd roost behind my head, me on the couch, him on the table. At bedtime he'd curl up next to me, effectively pinning me into one sleeping position. We all miss him. Soon we will bring home a new ball of fur, but we needed a little mourning time. I realized that I'd avoided blogging the past few weeks, except for the new scarf pattern, because I knew I needed to blog about Riley. 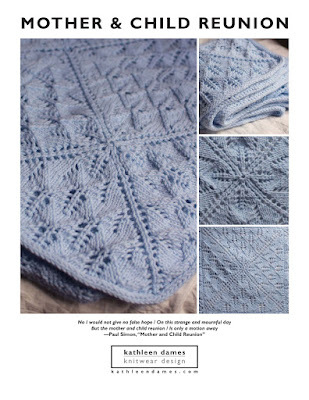 I even avoided putting birthday wish list together (something I usually enjoy immensely) or acknowledging this blog's fourth anniversary (I've babbled about knitting for FOUR years?!). Losing my grandmother and Riley in the same month has done a number on me, but it's time to pull myself together (all the way - I've gone part of the way getting the kids back in school and all). So, there will be more blogging, more pictures, and some new patterns coming down the pike. I might even have a contest, so, please, keep reading. And give your pets an extra hug for me. I can only imagine how pleased Riley is with this post. Jetsam sends you an extra special twin kitty rub. This was not a good summer for us as far as loved ones go, was it? Oh no I'm so sorry to hear that! Sending big hugs your way! I deeply believe that when we die not only will we be with all the people we loved and who loved us in this life but also all the beloved animals who shared our lives.